The Assassin's Pact - 5 Star Reviews! The Assassin's Pact, my newest book to date, has already been reviewed by Kirkus Reviews. 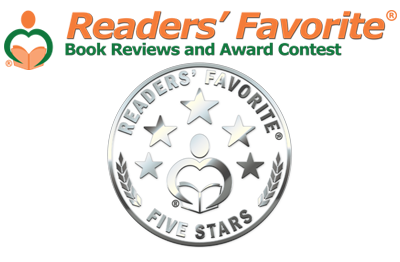 However, I'm pleased to announce that it has also received five reviews from Readers' Favorite that are all a resounding 5 STARS! The Granted Wish - 5 Star Reviews! My first book in Flurry the Bear's series, The Granted Wish, has five outstanding 5 STAR reviews! I believe one of the most important ingredients of a child’s book is an appealing and adorable character. In The Granted Wish, by J.S. Skye, that character is Flurry. This little bear is a mischievous bundle of curiosity who gets himself into all kinds of difficulties. Much to the dismay of his parents, he gets into more trouble than he can handle and the consequences lead his life in a whole different direction. As Flurry goes through his journey, he comes up against his own ideas of beauty and humility. But not all is lost as Christopher Kringle steps in to help him learn to be a better bear. This is a sweet story about love and consequences, vanity and growth. The Granted Wish by J.S. Skye is a unique winter tale filled with charm. It also teaches good life lessons in a way that allows children to hear and learn. Flurry is a wonderful scamp who has a long way to go, and I believe this is what makes him so relatable to child readers. This book is perfect for curling up on the couch together on a winter night while your children are waiting for the holidays. The writing is perfect for a young reader, with plenty of imagery and action to keep their attention. J.S. Skye creates a terrific world of magical characters and brings a fresh perspective to Christmas tales. I recommend this book to any young family that wants to bring a little wintry magic into their holidays. 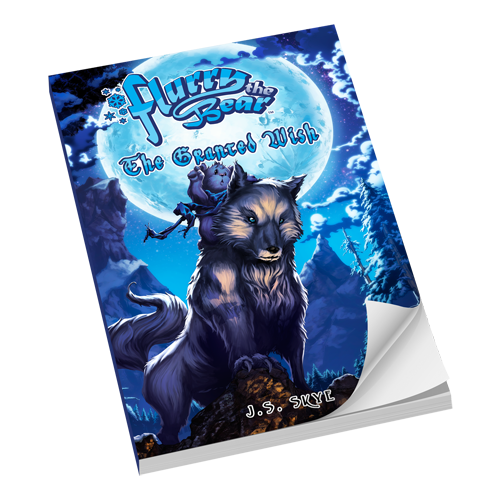 The Granted Wish: Flurry the Bear, Book 1 is an animal fantasy novel for children and preteens written by J.S. Skye. Far up in the North, nearly the North Pole, in fact, there’s a little town called Ursus where teddy bear cubs and their families live, go to school and play. One of their most eagerly anticipated events occurs during the Christmas Season. Each year, Christopher Kringle and his wife host a party for the teddy bear cubs, where cookies and other goodies are served and stories are told. Mrs. Kringle asked the cubs which story they’d like to hear as they all enjoyed the warmth of the fireplace and their cookies. One cub shouted out the name of Flurry, and the other cubs were thrilled with the thought of hearing a story about the famous adventuring bear. Another cub suggested they hear the real story about how Flurry lost his tail. Then a young woman named Nomi came to the door and was invited in. The cubs, the Kringles and Nomi all settled in, and Nomi began to read. J.S. Skye’s animal fantasy novel for children and preteens, The Granted Wish: Flurry the Bear, Book 1, is the first book in a six-part series about the interplanetary adventures of Flurry the Bear. I had a grand time getting to learn about the early life of Flurry and am looking forward to reading more about this iconic teddy bear explorer. Skye’s hero is not without his flaws and reading about his mischief-making and vanity issues made him become more real and gave him a welcome complexity. Skye’s reinvention of Santa as Christopher Kringle is also an imaginative and fun take on the legendary figure. The Granted Wish is well-written, and the plot is an enthralling one that blends science fiction, fantasy and adventure quite well. The Granted Wish: Flurry the Bear, Book 1 is most highly recommended. The pleasant little village of Ursus in the land of Mezarim (the North Pole) is home to Christopher (Santa) and Catherine Kringle and a large number of live teddy bears in this delightful children’s story by J.S. Skye. The Kringles love to entertain the cubs and the cubs love the treats of hot chocolate, warm chocolate chip cookies and, best of all, stories by the fireplace. 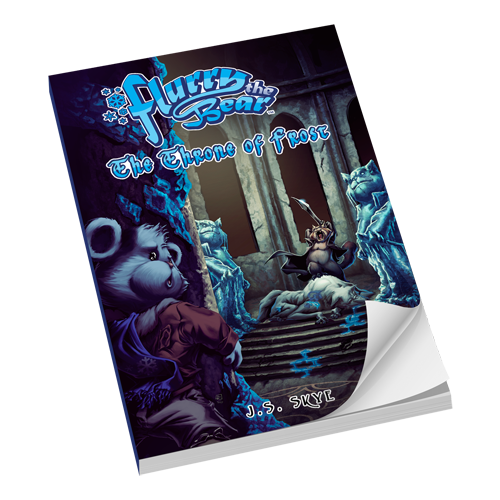 The Granted Wish: Flurry the Bear, Book 1 is their favorite story about a famous little bear named Flurry. Mr. and Mrs. Snow are well-loved members of the teddy bear community, but have not had the good fortune to have a cub of their own. One Christmas, Mrs. Snow is lucky enough to be selected for Christopher’s annual special wish when she can have the cub she and her husband have wanted so much. After using the softest, whitest fur she could get at the local shop to create a bear cub, she and her husband wait for the magic moment when Christopher will whisper “Flurry! Wake up!” and their wish will come true. Flurry is the most adorable cub anyone has ever seen, but he always manages to get into trouble with his enthusiasm and curiosity. When his parents don’t know what else to do, Mr. Snow takes Flurry to Christopher, who decides Flurry needs some responsibility and puts him in charge of the teddy bear production line. Things go well until one day when there is an accident and Flurry is whisked off to earth. Only Christopher knows what is going to happen as Flurry learns an important lesson. For a delightful and inspiring children’s story sure to enchant young readers, J.S. Skye’s The Granted Wish: Flurry the Bear, Book 1 can’t be beat. With adorable characters and non-stop action that all children can relate to, this wonderfully and lovingly written story imparts some important lessons within the fun, games and excitement. I loved the characters and the lessons so cleverly included! Perfect for Christmas or any time of the year, this is one book that should be found on every child’s bookshelf. A perfect beginning to a series. The Granted Wish by J.S. 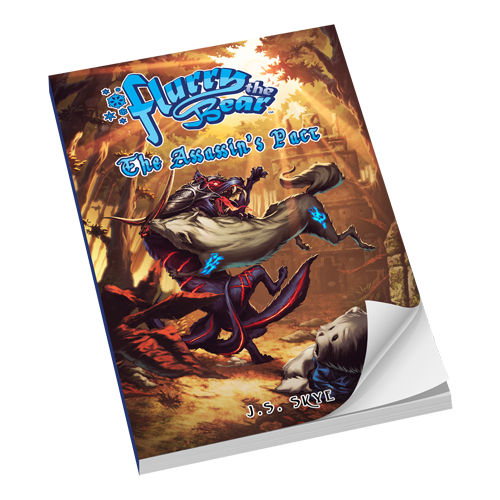 Skye is the first volume in the enchanting children's series, Flurry the Bear. Flurry is a white teddy bear, somewhat of a legend in the eyes of other teddy bears. When a group of little teddy bear cubs meets to listen to a story, they all demand to hear a story about Flurry. Most are interested in learning the truth about why the famous teddy has no tail. Flurry himself had told different kids different stories - most of them full of adventures, and apparently his tail had been bitten off by one or the other dangerous creature. The truth, however, is a bit different from what Flurry told - but also less entertaining. Flurry gets in trouble all the time, even though he means well and never intends to cause problems or upset others. His parents ask Christopher for help, and he has a great idea. But, as with many great ideas, they often do not quite lead down an easy path as Flurry finds out again. And again. I picked up The Granted Wish by J.S. Skye because I needed a bit of a lift and a story about a place filled with teddies seemed to fit the bill! It is a lovely story, and children will immediately fall in love with the vivid characters (not just because most of them are teddy bears!). As an adult reader, I was able to appreciate the way the story is told and could leave the world behind me for a few delightful hours. Writing books for children isn't easy, and when it is well done, it speaks to people of all ages. Flurry's story is one of those tales that will touch all readers. You can't help but cheer the little guy on during his various, partially chaotic adventures. And this one is only the start! I also liked that the book has a bigger print to make it easy for kids to say that they have read over 200 pages and feel a little proud of their achievement, yet the bigger print doesn't make the book look childish or unattractive. It's well done, and I enjoyed spending time with Flurry and Co. The Granted Wish (Flurry the Bear, Book One) by J.S. Skye is an enchanting story about a young teddy bear named Flurry. Flurry gets into a lot of trouble, although he doesn't mean to. Eventually, his family turns to Chris Kringle for help, and he offers Flurry a job at his toy factory. But one day, while Flurry is at work, he gets too close to the conveyor belt carrying bears that looked exactly like him and falls onto it. He gets packaged up and sent to a place called Middleasia, along with a bunch of other toys. When Flurry finally manages to call home, Chris decides that he must stay there until he learns humility. Will Flurry ever get home? Will Flurry learn humility? I really enjoyed reading The Granted Wish (Flurry the Bear, Book One) by J.S. Skye. The story is amazingly well written and very descriptive. I liked the way the story was told, with one of the characters reading the story to a crowd of teddy bears; it was a very original idea. I liked how the story has an underlying Christmas theme, but it could be read at any time of the year. I was hooked by the first page and I never wanted to put the book down. Children will like that a cute little teddy bear is the star of the story. Flurry is a very relatable character, because many children have gotten in trouble, despite having meant the best. The book has many exciting scenes that will make the reader gasp aloud. I can't wait to read the next adventure in the series! I would definitely recommend this book to everyone.